Value pack-12 funny wind up toys included. The lifelike lovely santa cartoon is flattering. Wind Up and Go-just rotate the clockwork spring. Toys will keep chattering and hopping for a while. Mouths of cartoon figures will open and close, and make a funny sound. Kids will like them! Material-high quality plastic and small steel parts. Non-toxic and odorless. Tested according to international standards. Perfect for kids birthday parties and holidays. Great for christmas gift. Warning:Not suitable for kids under 3 years. 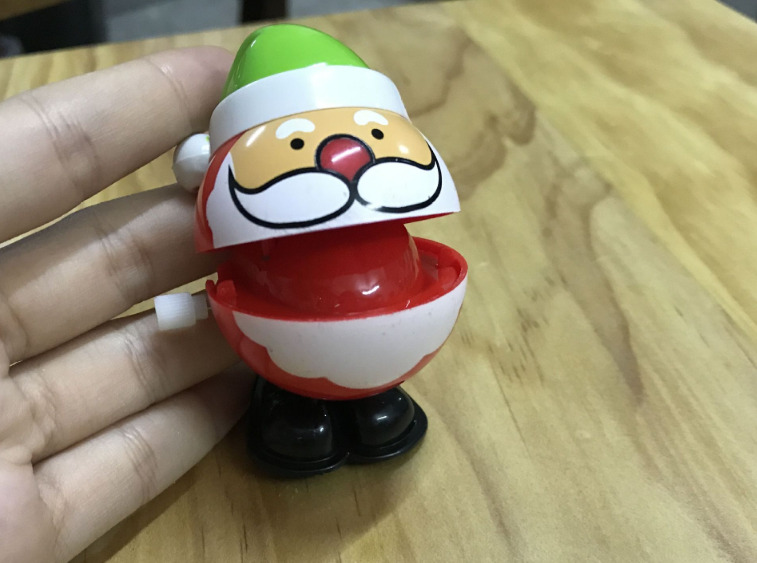 This toy is made up of small pieces which could be swallowed and/or inhaled. It is composed of elements that can be dangerous if used in an incorrect way by children. Better for kids to play under adult supervision. package includes 12 funny wind up toys. 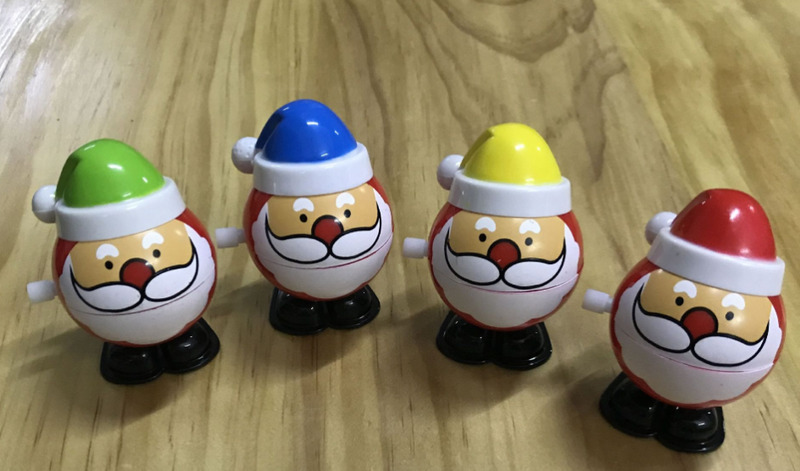 Kids will like the lovely Christamas santa figure shape. Different colors meet you different taste. Just rotate the clockwork spring and toys will start hopping and chattering. Suitable for kids 3 year and up. Very interesting! ❤️Welcome to our shop! Have a good time! Big discover of this toy, I am gonna use this as Christmas present for my son. It looks good, and the clockwork are working well. Well-made one I think. My daughter loves Santa. I bought this for her as Christmas present, hope she would love this. Bought this pack as Christmas present for my boy, he will definitely love this. Das Paket ging 3 Wochen. Gut verpackt. Ein schönes und lustiges Spielzeug.